Have a question about the Edelbrock kit? Ask in this thread, and I'll answer it, as well as copy it into the OP. Is the Edelbrock Supercharger kit CARB legal? As long as the rest of your drivetrain is stock, and you use the Edelbrock supplied tune, it is expected to soon be CARB legal. CARB testing is currently ongoing. I already have EcuTek. Do I need to buy the Tuner kit or just the Hardware? You need the kit without tuner, part number 15560. The CARB tune will be available for everyone to download, free of charge, from Edelbrock! Which kit do I need to buy? My car is stock, and I want a plug-and-play solution. You will want to buy the kit with tuner, part number 1556. This kit includes an Ecutek license, cable, and dongle, so that you can tune your own car. Will XYZ oil cooler work with the Edelbrock E-Force supercharger? Will the supercharger overheat? Do I need to add additional cooling for the supercharger itself? What is the service interval? The Supercharger itself will not overheat; it is a self contained lubrication system, and has been proven to work well on ALL of the TVS applications, including those on Audis and the Z06. The fluids needs to be changed every 100k miles. What is the break-in period for the supercharger? How do I break it in? There is no break-in period for Edelbrock superchargers. Each supercharger unit is ran at Edelbrock before it is packaged to ensure fitment and quality. You can drive it hard as soon as it is installed! How does the powertrain warranty work? If you are driving a FRS/BRZ with the Edelbrock supercharger installed, running the supplied Edelbrock tune, and the kit is installed by an authorized dealer, your dealership, or an ASE certified technician, then your drivetrain is warranted by Edelbrock for 3 years or 36k miles on your odometer, from the date you originally bought your car. Have a brand new car and/or are worried about your factory warranty? Edelbrock has you covered! I want more power. Are other pulleys available? Yes, absolutely! The kit comes with a 3.25" pulley, but 3.00", 2.75", and 2.50" pulleys will be available as well. How much power can this supercharger make? What does this kit cost? The Edelbrock provided calibration is (will be) available to everyone on their website. The much requested "non-cartoony" dynograph. Last edited by CSG Mike; 10-14-2017 at 08:14 PM. Reserved for CSG's review and data. 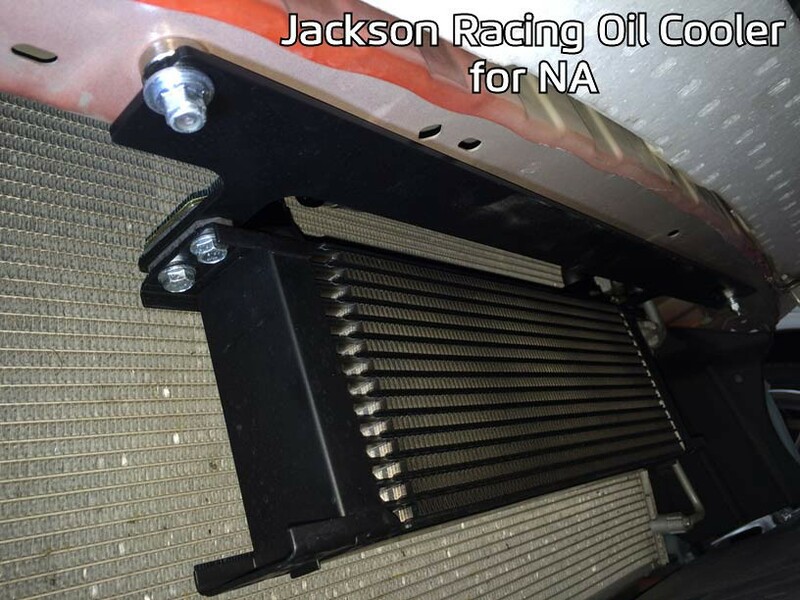 You may want to note that if you have a Jackson Racing oil cooler kit for NA configuration, you will need to relocate the cooler forward. 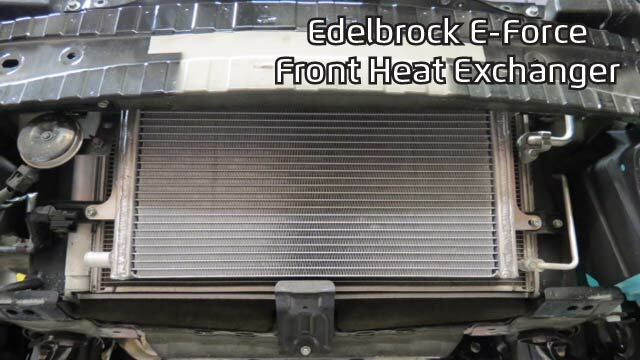 The Edelbrock front mount heat exchanger will reside between the condenser and crash beam. Pre production unit, but fitment is the same. As you can see, the JR oil cooler will need to be relocated when you install the Edelbrock heat exhanger. Last edited by Nitro22; 01-07-2016 at 06:22 PM. Put me down as #1 owner already hehe! I'd love for CSG to take a look at my car sometime and let me know your thoughts. I work in OC. I'm relatively new to the enthusiast scene (late bloomer? LOL) so my automobile terminology is no where near on par with many of you but I'm always willing to learn new things esp about my FRS! Although I have gone FI before with my Honda Fit which I happen to be the first consumer also on the AT with the Sprintex SC. Sadly they had piggyback issues and got tired of trying to fix the problem and I returned the Sprintex while still in warranty. It was totally fun while it lasted. Didn't think I'd go the PD route again but here I am once more. This time I think with a proven piggyback with ECUtek, i will have less to worry about. Got a chance to stretch her legs a little on the way home and theres no better feeling than having that instant torque ready at your disposal. Theres definitely no whooning sound like the Sprintex but I got over that super fast just with the pull it gives you. I am really hoping to try the JR SC (CARB) on the AT just to compare the feel. I knew I made the right choice though with Edelbrock as I know my driving habits and don't usually drive in the high RPMs anyways. On top of that I have no plans on tracking my car. This is the way the car should have been out from the factory. Last edited by FuzzyFunk; 08-21-2015 at 10:24 PM. Are there any in car videos, aside from the promotional video from Edelbrock? @FuzzyFunk I was hoping from some S/C whine, I guess the TVS is quieter? Please expand upon this point. Although, I wouldn't run it without an Edelbrock kit, as your car won't even idle. That's amazing, gonna tempt a whole lot of people into switching from other fi systems with that.